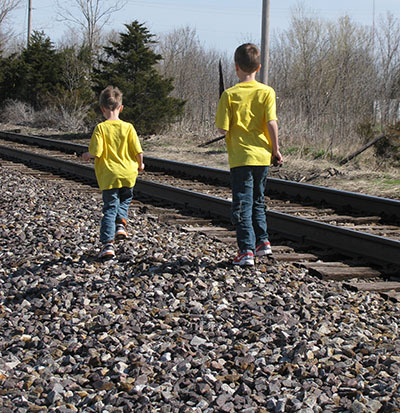 One thing that is really cool about Grandma and Grandpa Apel's house is that they have train tracks walking distance from their house. The boys love trains and tracks! I know they aren't supposed to play around tracks. We pretty much walked along them. There were 3 adults with these kiddos. We always walk there. Even when it's freezing out we walk there. Lucky for us, Sunday was pretty warm, yet windy. This gives you an idea of how small the boys really are. They seem so tall up close. The track says, "115 RE CC B S Co lackawanna 1956". It's interesting how streets have to be rebuilt all the time, but part of this track was made in 1956. Isaak wouldn't stand still long enough for me to take his photo. He was too busy looking for junk that he wants to make things with. One man's junk is another man's treasure. Thank you so much for linking up! Please enter my low entry giveaways: Zevia - Zero Calorie Soda - 5 winners, a $50 GC to Natural Vitality and OraMD All Natural Toothpaste - 3 winners. 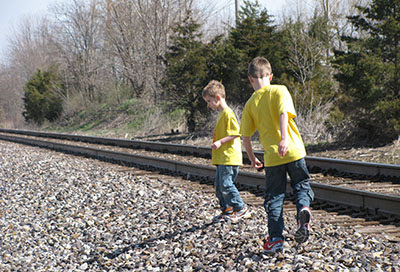 Great photos, but I get nervous when I see kids playing around train tracks. 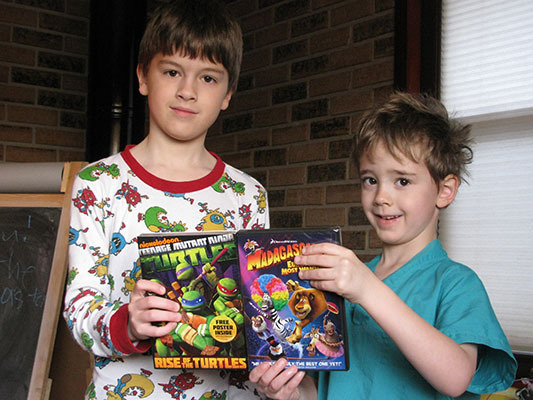 A former student's brother lost his leg that way. I love train tracks. I always try to walk the line and not fall off. These are some great shots, though I am a chicken and would stay far away. My husband on the other hand would be having a blast. Such a scenic shot for photos but I'd be nervous on tracks that still have trains going by too! Terrific photos! We have our train station down town and there is so much traffic near there I would not even get out of the car. Lucky you can take such nice photos near the tracks. Very interesting Alissa! Great shots. Thanks for hosting. 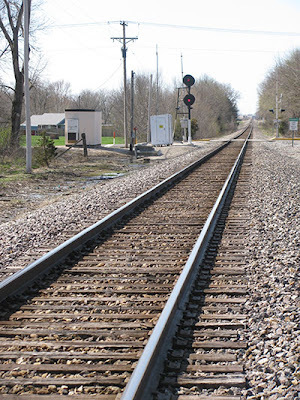 We use to put coins on the tracks as kids and wait for the train to flatten them. Looks like a super fun day. Great photos of the tracks! :) Happy WW! They recently redid a lot of the tracks around here and it was AMAZING to watch! Such a typical boy searching for "stuff"! Great photos. Love capturing perfect outside moments. Great pics. Boys sure do love trains. 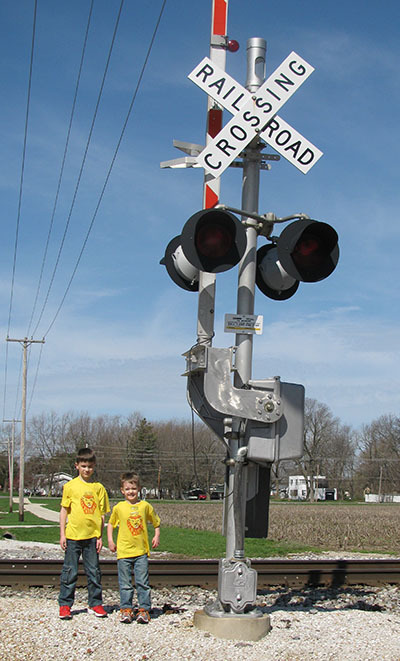 I grew up across the street from an active set of railroad tracks and spent many many hours playing on them. Oh the memories. Awesome shots! This reminds me of the time when we used to cross train tracks via a shortcut to our school. It didn't bother me then but just thinking of it now sends shivers down my spine! 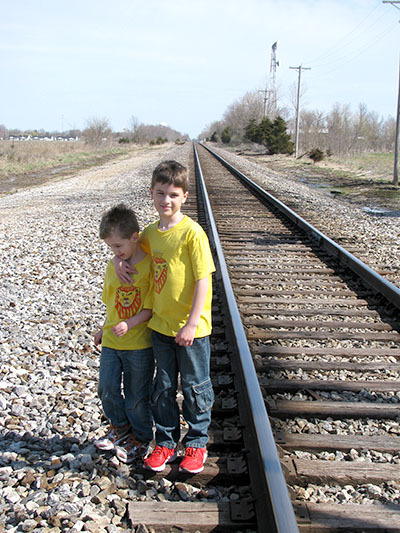 I grew up close to the train tracks in my small hometown. Luckily the tracks only went to the grain silo and they would sound a horn when the train was coming in so we kids were fairly safe. I love your pictures! They remind me of being a kid walking the train tracks to my friends house. I have to admit I used to love playing around the train tracks as a kid. Back when there were still trains in Newfoundland! 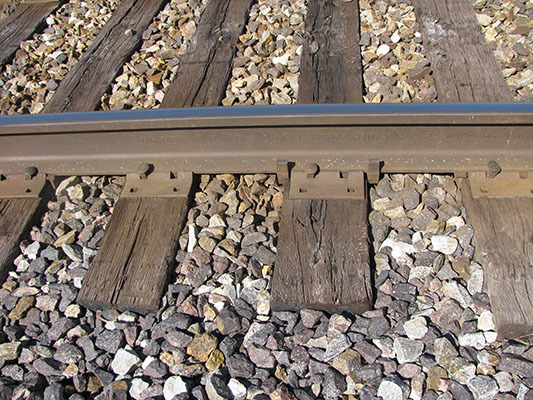 We used to flatten coins on the tracks. So very wrong and dangerous. Oi! 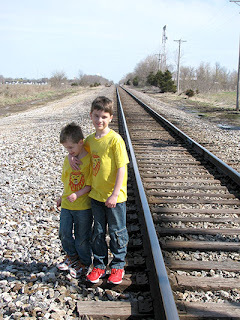 What great pictures I love taking boys to the tracks. Choo choo!! Trains, planes, and automobiles! that is soo cool!. you have nice and interesting photos too. i live maybe 3 hours away by plane from the nearest train track so this is interesting! 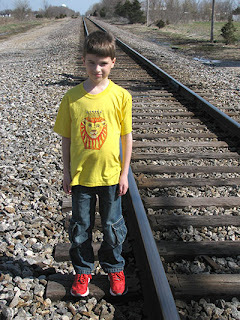 When I was a kid I used to LOVE walking the train tracks near my home. I don't think my kids have ever thought to do this at the ones by our house, though.